Two of the greatest motorcycle racers ever come face-to-face on the grid of the 2011 Isle of Man TT. 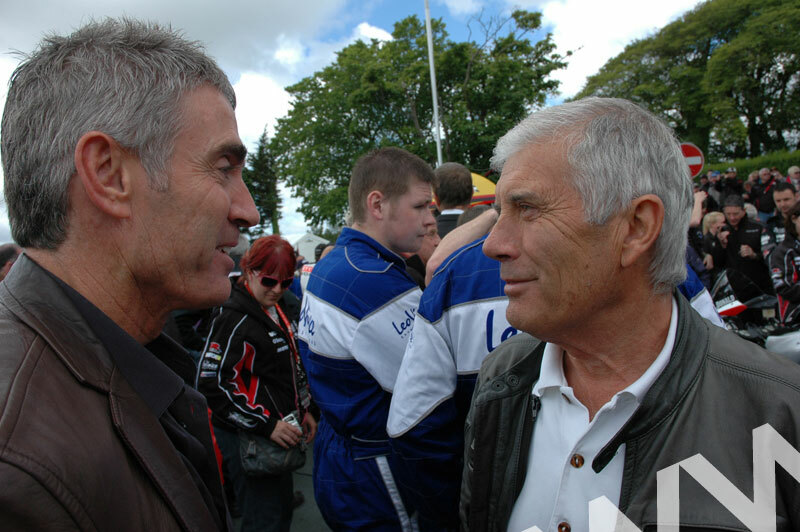 Multiple World Champions Mick Doohan and Giacomo Agostini were both guests for the 2011 TT; Ago is no stranger to the TT, with numerous victories around the 37.7-mile TT Mountain course, but for Doohan 2011 was his first visit. Fans had a rare treat when the two met on Glencrutchery Road to share some racing memories - and this picture captures that meeting of the maestros.